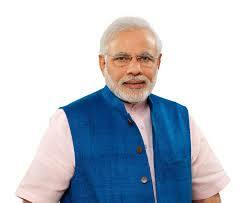 Narendra Damodardas Modi is the 15th and current Prime Minister of India. Modi. In June 2013, Modi was selected to head the BJPs 2014 election campaign to the Lok Sabha (the lower house of Indias parliament), while a grassroots campaign was already in place to elect him prime minister. Modi campaigned hard, portraying himself as a pragmatic candidate capable of turning around Indias economy. In May 2014, he and his party were victorious, taking 282 of the 534 seats in the Lok Sabha. The victory marked a crushing defeat to the Indian National Congress, which had controlled Indian politics for most of the previous 60 years, and sent a message that Indias citizens were behind an agenda of radical change.